Driving to work this morning my "I Love" post for tonight was staring me in the face. This time of year here in Melbourne all the "Wattle Trees" start to burst with their beautiful yellow delicate wattle blooms. 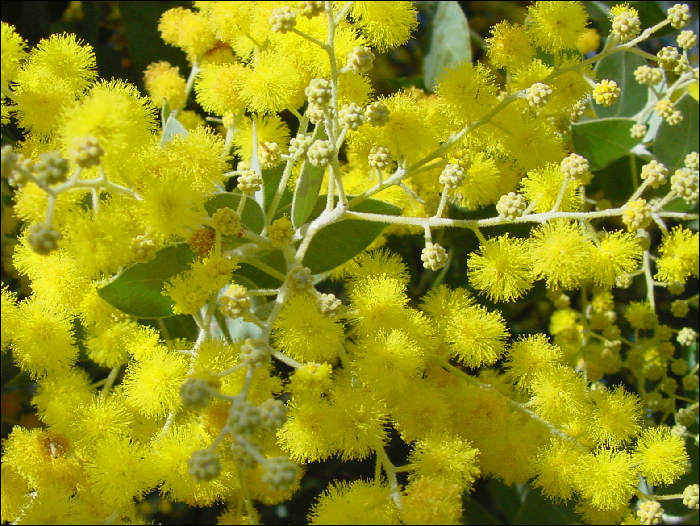 Now I am not much of a gardener and when I was younger it really didn't interest me very much, but one of the blooms that always made me smile was "Wattle. 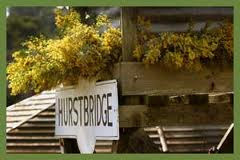 I have been told the wattle is an easy tree to grow, but not for me, I just don't seem to have any luck with them. I have tried picking a branch and putting it in a beautiful vase inside but the smell wasn't attractive to my nose at all. So I am happy to admire the blooms from afar. On the last Sunday of this month (August 29th) a local township - "Hurstbridge" - have their annual "Wattle Festival". I really enjoy village festivals and markets, but thats another post completly. 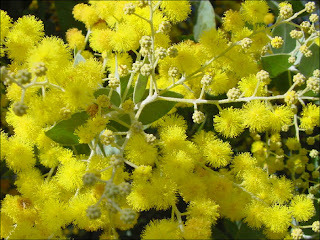 Hi Davine, I've been kept rather busy and haven't had time to visit (or work on my blog), but I am so glad I came today - love the wattle such a beautiful and unassuming flower (even if some do give me hayfever). And I'm really glad you posted about the Wattle Festival, I hadn't known that b ut will definitely be up there on the 29th. I go past there on my way to the Valley. It's a lovely area. There's a nice little winery just past there - Lovegrove Estate. Nice people, nice wine too. Great views. I can see why you'd love this Davine, the yellow is so beautiful! I love your photos tonight, great shots!